Prof. Jan Widacki and Małgorzata Kasner, PhD, have been given the Jerzy Giedroyć Award, granted by the Jerzy Giedroyć Polish-Lithuanian Forum for Dialogue and Cooperation for merits in aid of building bridges of agreement between Poles and Lithuanians. The ceremony of the statuettes awarding will be held in the Chodkiewicz Palace, Vilnius, on 26th August. Jan Widacki was the first ambassador of Poland in Lithuania after the resumption of diplomatic relations between already free Poland and independent Lithuania. Between 1992 and 1996 he restored the complicated Polish-Lithuanian relations, thus leading up to the conclusion of a treaty between the neighbours in 1994. He was perceived diversely among the Lithuanian community, as well as among Polish activists in Lithuania. He is an accredited lawyer, a barrister. The prize was awarded also to Małgorzata Kasner, a long-standing director of the Polish Institute in Vilnius. Małgorzata Kasner is a PhD in literary studies, a graduate of the Faculty of Polish Studies at the University of Warsaw with the specialisation in Lithuanisation. At the ceremony in the Chodkiewicz Palace, laudations in honour of this year’s laureates will be delivered by Romualdas Budrys, the director of the Lithuanian Art Museum, and Vygaudas Ušackas, a Lithuanian diplomat. Also a company which has contributed to the strengthening of Polish-Lithuanian business contacts is going to be honoured. This award will be given by the Forum together with the Polish-Lithuanian Chamber of Commerce. The Jerzy Giedroyć Polish-Lithuanian Forum for Dialogue and Cooperation along with the Eastern Europe Studies Centre is also the organiser of the conference dedicated to the 25th anniversary of the diplomatic relations resumption between Poland and Lithuania, which is going to take place in Vilnius, in the Institute of International Relations and Political Science. Scholars, political scientists, and politicians will be discussing on successes and failures of the past quarter-century with regard to the relations between the two neighbouring countries. The Jerzy Giedroyć Polish-Lithuanian Forum for Dialogue and Cooperation was founded in 2012 on the initiative of Polish and Lithuanian intellectuals. 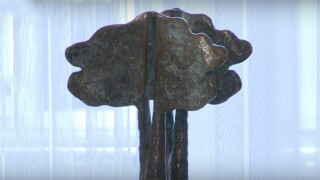 The Jerzy Giedroyć Award was first given in 2014. A rule has been established that the Lithuanian and Polish sides will award the prize alternately each year. In 2014 the Lithuanian intellectuals honoured Adam Michnik, the editor of “Gazeta Wyborcza”, and Prof. dr hab Bogdan Szlachta, the dean of the Faculty of International and Political Studies at the Jagiellonian University in Cracow. In 2015 the Polish intellectuals awarded the prize to Valdas Adamkus, the president of Lithuania, and Tomas Venclova, a poet and translator.